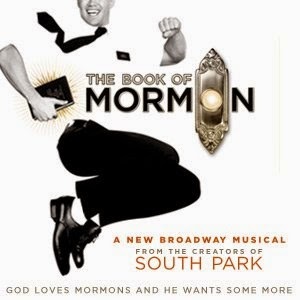 Vancouver, BC – THE BOOK OF MORMON, winner of nine Tony Awards® including Best Musical, is pleased to announce a student rush ticket policy for the show’s Vancouver engagement, which begins Tuesday August 23, 2016 at the Queen Elizabeth Theatre and plays a limited two-week engagement through Sunday September 4, 2016. In Vancouver, the production will conduct a pre-show student rush, making twenty (20) tickets available per show at $25 per ticket. Student Rush Tickets will be available first come first served to those who show valid student ID at the Queen Elizabeth Theatre box office 2 hours prior to each performance. A limit of two tickets per person will be enforced. THE BOOK OF MORMON features set design by Scott Pask, costume design by Ann Roth, lighting design by Brian MacDevittand sound design by Brian Ronan. Orchestrations are by Larry Hochman and Stephen Oremus. Music direction and vocal arrangements are by Stephen Oremus. HELLO, Vancouver! The Book of Mormon Returns!